The Central Agency for Public Mobilization and Statistics (CAPMAS) stated on Wednesday that the annual inflation rate declined by 0.2 per cent in November 2017, ending the year at 22.3 percent. In December 2016, the inflation rate stood at 20.2 percent, and climbed to 33.2 percent in August 2017, before decreasing steadily since. CAPMAS said that the inflation rate declined after prices of meat and chicken, vegetables, fish, and seafood decreased by 1.6 percent, 0.5 percent, 1.1 percent, respectively. The annual price of food and beverages increased by 25.3 percent as a result of higher costs. Vegetables, overall, increased by 32 percent, while potatoes witnessed a 9.5 percent increase in cost. Onions, meanwhile, increased by 7.5 percent, tomatoes by 75.8 percent, dry vegetables by 7.3 percent, bananas by 28.5 percent, citrus fruit by 82.7 percent, and rice by 7.9 percent. CAPMAS’s statement also revealed that the price of fish and seafood increased by 34 percent, oil and fats by 18.5 percent, alcoholic beverages, tobacco, and air conditioners by 29.9 percent, and clothing and footwear by 25 percent. In addition, the cost of houses, water, electricity, gas, fuel and, wired telecommunications increased by 11 percent. 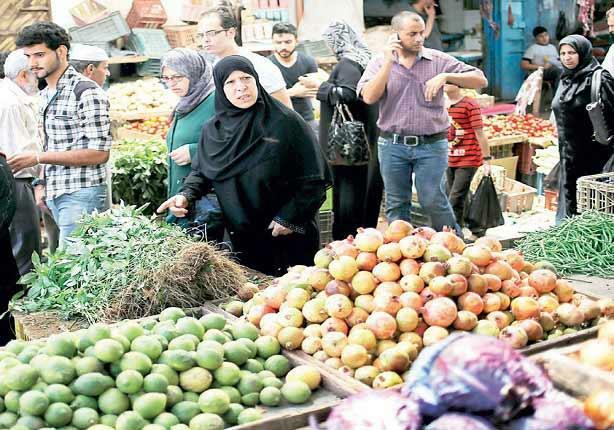 Minister of Finance, Amr al-Garhi, claimed that the inflation rate is likely to stand at 10-12 percent in 2018, and below 10 percent in 2019. He also shared expectation that the annual inflation rate in cities and urban areas could witness a more rapid decrease in inflation rate, possible falling to 19 percent in February 2018. Former member of Board of Directors in the Central Bank of Egypt (CBE), Alaa al-Shazli, said that indicators suggest interest rates will decline over the next period, after inflation rates decrease. Shazli attributed the falling rates of inflation to the stability of US dollar exchange rates against the Egyptian pound, and stable prices of imported goods in the domestic market. In addition to this, improved results of the state budget, accompanied by increased control over monetary expansion, improved rates of domestic production, and increasing supply of commodities also contributed to the decreasing inflation rates.